Run through Prague along one of the most beautiful Marathon courses in the world! 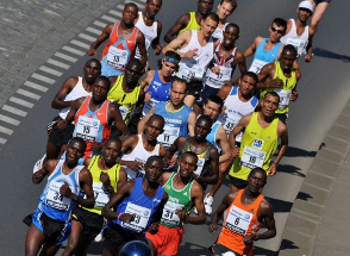 The annual Volkswagen Prague Marathon, being awarded with the IAAF Road Race Gold Label, is considered to be one of the most beautiful and international marathons in the world. The start and finish of the race is on Old Town Square in the historic centre of the city. The course leads through the heart of the medieval metropolis, along the Vltava River and crossing the Charles Bridge – arguably the most beautiful Gothic bridge in the World!